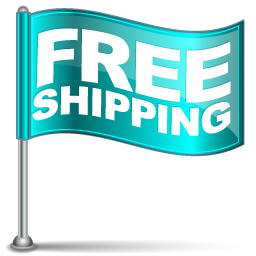 If you think on the perfect gift to any occasion, birthday, Anniversary, or just as I love you present personalized jewelry is the best gift and this jewelry especially. Check this amazing jewelry made of Solid Yellow Gold. Surprise your loved one with a personal gift. 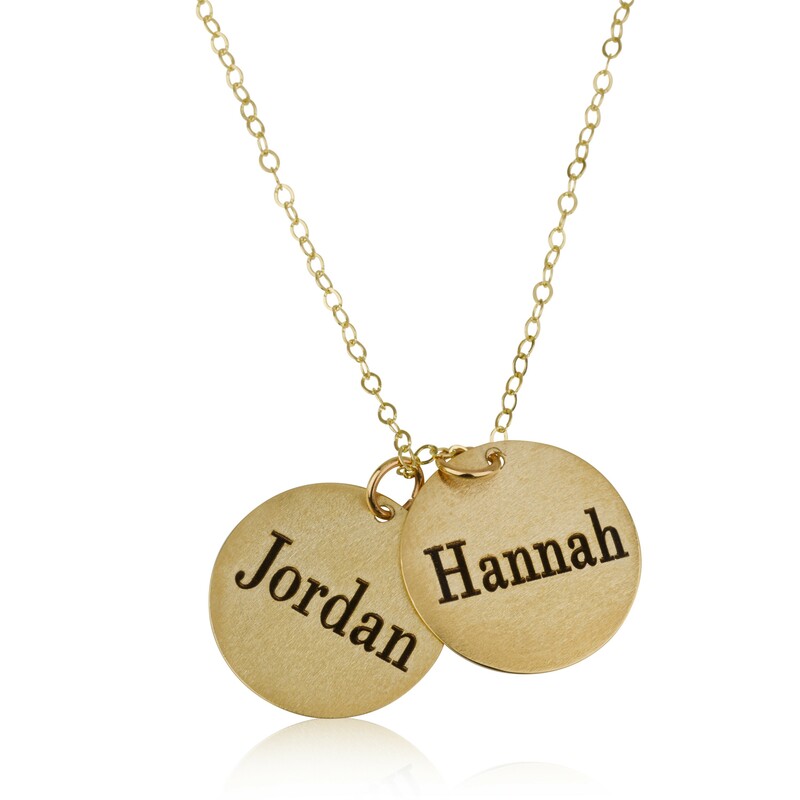 Made of solid Yellow gold, engraved your name and your loved one's name on this stunning two names round plated pendant. 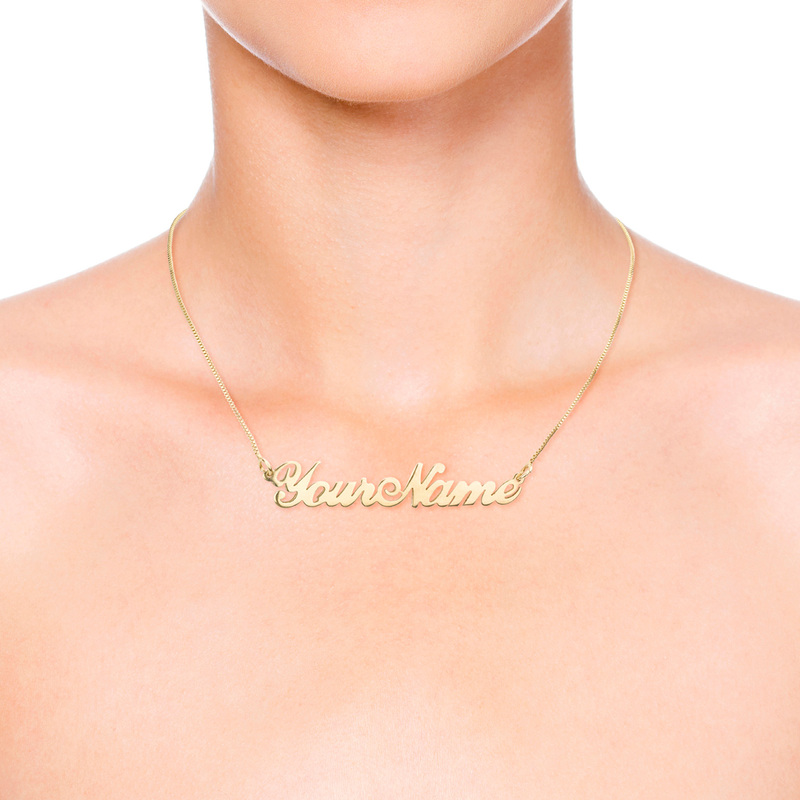 This is a stunning necklace that will go great with any outfit. 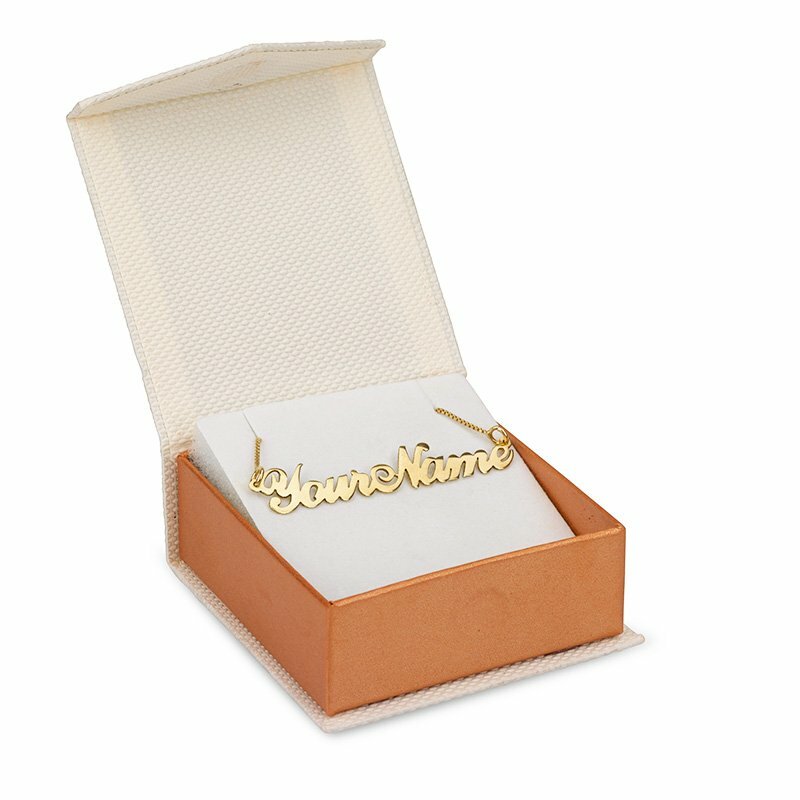 As we pride ourselves in providing top quality service, we will ship the personalized jewelry in a gift box and add a greeting card (simply email us to request this feature). Click here to select our Customized chain lengths that suit you.